This young all-star fiddle and guitar-playing duo are fresh on the scene combining traditional Ozark and Americana sounds. A great up-and-coming band that you’ll enjoy hearing from right next to the stage of the Ozark Folk Center Outdoor Music Pavilion. 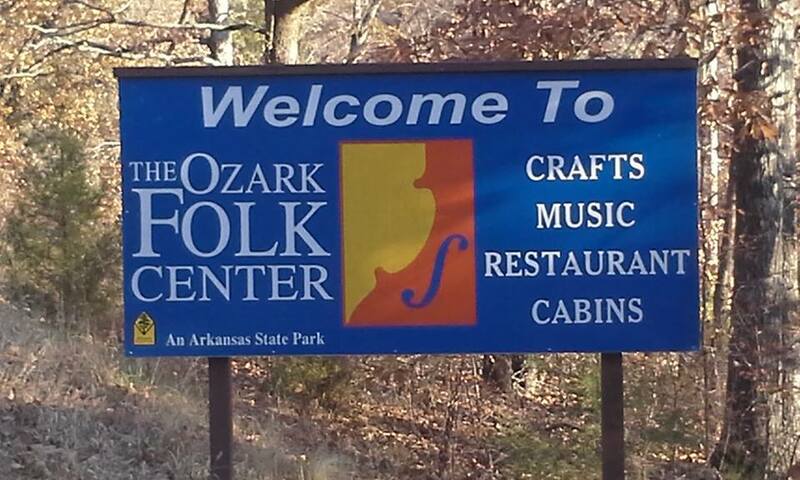 Tickets to the Matinee Show in the Ozark Folk Center Craft Village are $12 and are only available the day of the show at the park. Includes all-day access to the park’s 22-artisan shops from 10 a.m.-5 p.m. including the matinee performance from 2-3.p.m. 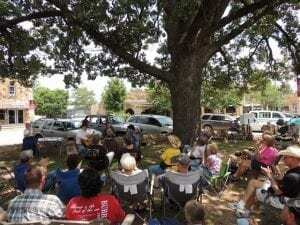 Join Ozark Folk Center musicians for an outdoor concert underneath the shade of the big oak tree on the Court Square in downtown Mountain View; concerts are the first Sunday of every month May through October. Musicians perform from 2-3 with a picking to follow. Bring your instruments and join in the fun. Admission is free. Craft Village open Tuesday – Saturday, 10 a.m. to 5 p.m.
Music Auditorium doors open at 6 p.m. Show starts at 7 p.m.
Breakfast Buffet every Saturday and Sunday 8 a.m.- 10:45 a.m.
Sunday Skillet’s famous Fried Chicken Buffet 11a.m.- 2 p.m.
Have fun playing music, exploring nature and making things. Register now for this five-day camp for young folks 8 – 12 years old. Registration deadline for the June Day Camp is June 1 the deadline to register for the July Day Camp is July 10. Call 870-269-3851 for more information or click here. Learn about bee keeping; help build a chicken coop; dig into soil health with composting; color your world with natural dyes and much more. Join us for two days of workshops on Ozark Farmways. No pre-registration required. All workshops included in Craft Village admission. Enjoy a meals sourced from local meats and produce seasoned with herbs from the Heritage Herb Garden on your own at the Skillet Restaurant. This two-day workshop features instruction from Arkansas’s premiere string band musicians for all levels of playing ability. Evening concerts feature Charm City Junction and Eden & Lukas Pool from the Ozark Banjo Co.